What is so special about JOES FINEST? Effective. Secure. Masculine. That's not just a slogan for us. It's our philosophy, which is written big and bold on our banner. All of our active ingredients are of high quality and the manufacturing process is GPM-certified. Only in this way can we support what we do: Let beards grow. We focus on healthy and natural growth from within. which can also bring you lasting benefits. Because we'd hate it if you're unhappy and we just go our separate ways. How does JOES FINEST work? Our beard vitamin formula is a natural, non-hormonal composition of safe, high-quality active ingredients. The combination of active ingredients can provide faster and thicker beard growth through minerals and vitamins. It can stimulate the hair follicles and thus provide for more beard growth. Wherever the hair follicles are not yet using their full potential, JOE'S FINEST can accelerate and stimulate them. Taking it can make the beard look healthier and make you stand out from the rest of the beard wearers. IMPORTANT: JOES FINEST is not a magic pill. As much as we'd like to say that, It takes time. Hair does not grow overnight. After 6-8 weeks you may see the first signs of change. But every body reacts differently. So be patient. When will the first effects be visible? Generally, this is difficult to answer. Every body is different: one reacts faster and another takes longer. We can roughly say that from the 6th week the first signs of a change can be visible. You should at least give your beard 6 - 8 weeks, as our hair follicles generally always need a little longer, which is related to their metabolism. Don't be surprised, if it takes a little longer. We want to be completely honest with you: That can happen. We receive overwhelming feedback from our customers, of which we are extremely proud. But there can always be a beard that may not play as we would like. JOE'S FINEST stimulate growth in the areas where hair follicles are located. Hair follicles that simply want to be stimulated again can also hide under many leaking beard spots. But where there are no follicles, nothing can grow. 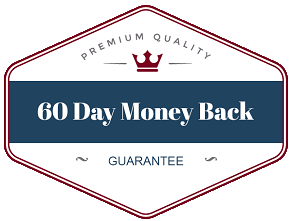 But it is precisely for these cases that we have created our 60-day money-back guarantee. You can return all unopened packs to us and we will refund the purchase price for these packs. But hey, we're not going to assume that. We are sure that we will be very happy together in the future. (where no follicles exist; no beard can grow either) Mostly, however, they are follicles that can be stimulated. You should give your beard at least 6-8 weeks to react to the nutrients and the to adapt to a new environment. With one, it takes time that is a little shorter, with the other a little longer. Our active ingredients don't work on everyone either. We are all different. You'll get your winning beard hair all at once. as soon as you stop taking JOES FINEST. But it is also clear that after you quit, you won't be affected by the faster beard growth and the effect of healthier and thicker to your handsome beard hair. Can I shave while taking this medicine? You can do it the way you feel comfortable. Since JOES FINEST works from the inside, shaving doesn't really matter. JOE'S FINEST is a safe food supplement. The active ingredients are of high quality and the manufacturing process is GMP-certified. It is professionally produced, packed and shipped. Does JOE'S FINEST have side-effects? To date, none of our customers have reported any side effects. The active ingredients are safe and quality-tested. However, if you have known allergies, you should always carefully check the list of ingredients beforehand so that you are on the safe side. In principle, allergic reactions can never be completely ruled out - even with natural ingredients. Does the remaining hair also become thicker? For whom is JOE'S FINEST suitable? JOE'S FINEST is suitable for any man who wants a fuller and denser beard. How should I take JOE'S FINEST? We recommend taking 3 capsules a day, preferably with enough fluid. Whenever possible, be sure to always use JOE'S FINEST at the same time. Then your body can make the best use of it and it ensures an even supply of the required active ingredients. Swallow capsules is a problem? For those of you who do not like to swallow capsules or pills: Open the capsules and pour the powder directly into your mouth and rinse it with plenty of liquid. Or you pour the capsule contents into a glass and mix it with juice or water. Our tip: Try it again with the swallowing, as with the other variant remains of the powder can remain in the glass and then later you may have to wait longer for the results, because valuable active ingredients were lost. What is the delivery time and where is it sent? 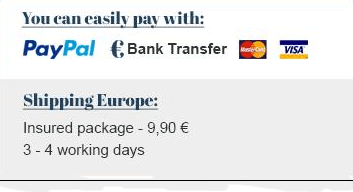 We ship only insured with DHL and the German Post. Usually you will receive your order after no later than 4-6 working days. We ship our product to all parts of the world.